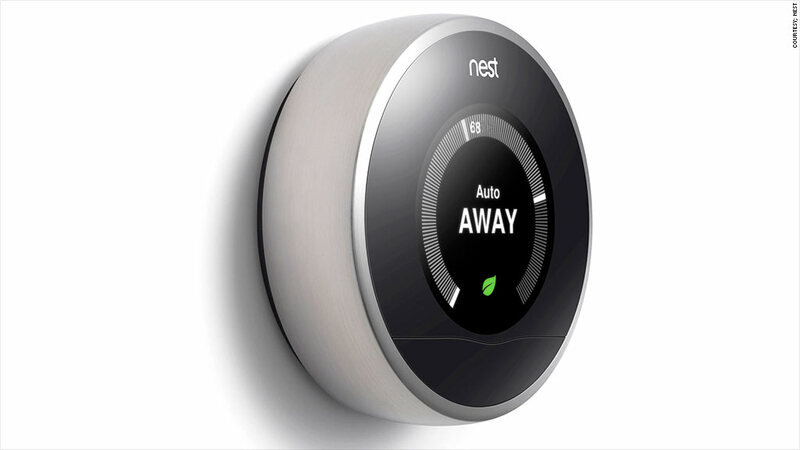 Nest makes home appliances like thermostats that can communicate with smartphones. Google is making another big bet on hardware. The search giant announced Monday that it's buying connected device maker Nest Labs for $3.2 billion in cash. Nest, led by former Apple (AAPL) designer Tony Fadell, develops "smart" home appliances like thermostats and smoke detectors that can program themselves and communicate with smartphones. Nest will maintain its brand name and continue to be led by Fadell, Google (GOOG) said, adding that the deal will likely close "in the next few months." Fadell told Fortune's Dan Primack that Google "made a very strong pitch for how we could have all the resources of a large company while retaining the independence of a next-generation Nest." "This allows us to accelerate and stay in front of the coming wave of products for what we like to call the conscious home," Fadell said. Google CEO Larry Page said in a statement that Nest is "already delivering amazing products you can buy right now -- thermostats that save energy and smoke/CO alarms that can help keep your family safe." "We are excited to bring great experiences to more homes in more countries and fulfill their dreams!" Page said. Google shares ticked up 0.7% in after-hours trading Monday. Google was already an investor in Nest via its Google Ventures arm. The acquisition follows a series of efforts by Google to break into the connected home business, none of which have proven particularly successful. The company's Android@Home platform, designed to allow users to control home appliances via Android smartphones and tablets, never caught on. There was also the Nexus Q streaming media device, which the company put on hold back in 2012. More recently, Google unveiled the Chromecast, a cheap device for streaming music and video on a television. The "connected home" was a hot topic at last week's Consumer Electronics Show in Las Vegas. The market for such devices is estimated to hit $10 billion this year, growing to $44 billion by 2017, according to wireless industry group GSMA. Google took a big step into the hardware business in 2012, when it closed its acquisition of Motorola Mobility for $12.5 billion. That purchase helped lay the groundwork for devices like the Moto X smartphone.